With the proliferation of tertiary-level institutions in the region over the last three decades, there is a need for robust organisational structures, administrative policies and systems for these institutions to operate efficiently. These issues will be tackled at the upcoming 14th annual conference of the Association of Caribbean Higher Education Administrators (ACHEA) scheduled for July 9th to 11th, 2015 in Trinidad & Tobago. The association has selected “Re-visioning, Re-assessing, and Re-committing for Success in Higher Education” as the conference theme, targeting individuals engaged in administration and/or academic leadership in higher education and closely related institutions or agencies. Sub-themes will see presentations and discussions on ‘Organizational Change’, ‘Building Work Teams for Greater Efficiency and Effectiveness’, ‘Building Linkages for Greater Competitiveness’ and ‘Building an Effective Industrial Relations Climate’. 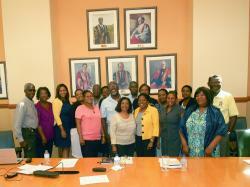 ACHEA was launched in July 2001 creating an association of all of the tertiary institutions throughout the Caribbean. The association’s aim is to promote the highest professional and ethical standards and the continuing development of the management capacity of those who have administrative and managerial responsibilities in higher education. Its modus operandi is enhancing the skills of its membership through training and development programmes and opportunities for effective networking. 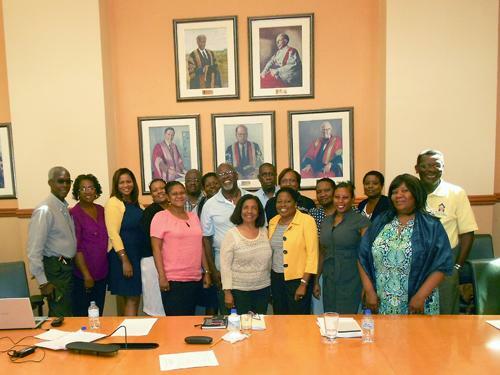 In addition to the annual conference, as part of its strategic focus, ACHEA is currently in collaboration with The UWI Mona School of Business Management finalising plans for the development of a Post Graduate Diploma in Higher Education Management. According to the association’s executive, “The expansion and complexity of tertiary institutions all over the world requires sophisticated skills and the shouldering of immense responsibilities. The role of the administrator has changed. There is now a new career in university administration. ACHEA is the region’s response to these realities”. An invitation for presentation abstracts for the conference is currently open March 21, 2015 and abstracts should be submitted to achea@sta.uwi.edu. Persons interested in registering for or presenting may visit www.sta.uwi.edu/achea or contact the Programme Coordinator at lorraine.nero@sta.uwi.edu.